Go coconuts! 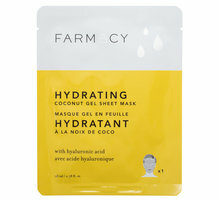 Get real results, real fast with these updated coconut gel sheet masks. 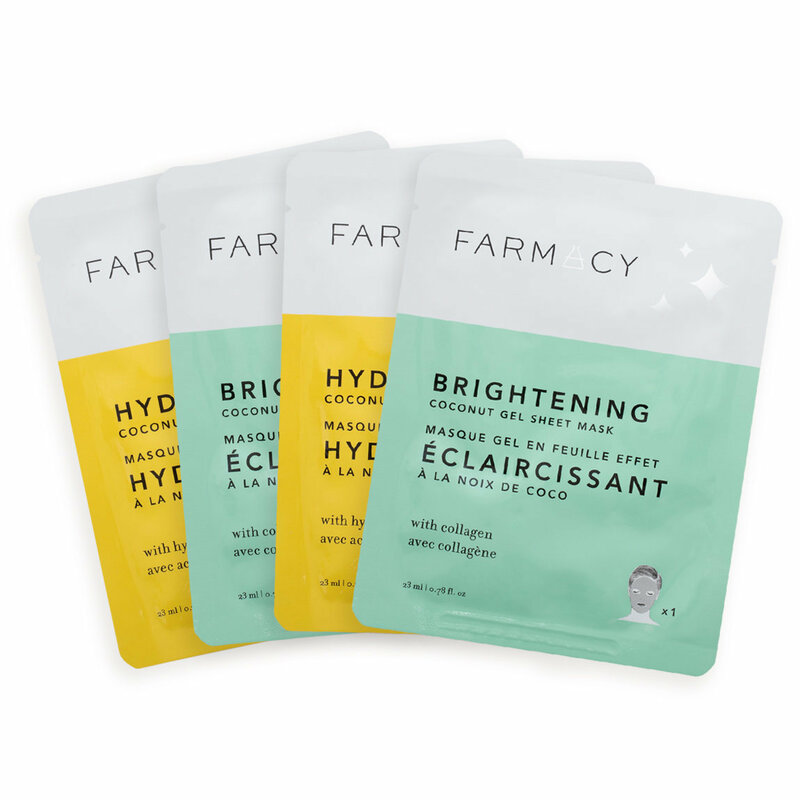 Supercharged to deliver intense moisture with coconut water and antioxidant-rich Echinacea Green Envy, these face masks promote a fresh, more radiant, healthy-looking glow in just 15 minutes. 2 Hydrating Coconut Gel Masks: Formulated with anti-aging hyaluronic acid and natural cucumber extract to soothe dry skin. 2 Brightening Coconut Gel Masks: Gets dull skin glowing with purple broccoli extract and plant-based collagen. Hydrates with coconuts. These coconut water infused gel masks hug the contours of the face better than conventional sheet masks for intense hydration, exceptional comfort and enhanced delivery of essence. Rich with antioxidants. Echinacea GreenEnvy™ helps support collagen, promotes an even complexion and fights free radical damage for healthier-looking skin. Instant glow. Purple broccoli extract brightens and clarifies by providing antioxidants, chlorophyll, vitamins, and minerals. Vegan-friendly plant-based collagen helps promote firming and lifting benefits for a youthful appearance. Remove mask from the package and unfold completely. Remove one blue protective mesh and smooth over clean face. Either side of the mask may be applied to the skin. Once on the face, remove the second layer of blue protective mesh. Leave mask on for 10–15 minutes for best results. Remove mask and massage any remaining essence into skin. 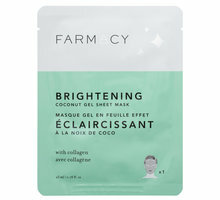 I used this mask one night in conjunction with my regular skin care. Painted my face in the morning as usual. Make up glided on smoothly after my am skincare. Still unimpressed,I went on to spend the day in 16 degree air conditioning at work. Went home after a 16+hour day cleaned off my makeup. I couldn't seem to clean it off. Until I realised my makeup wipe was coming off clean,and the glow was from my own skin. The glow lasted for the next couple of days on my dehydrated/sleep deprived mien. Absolutely love these gel masks! So soothing, and there’s enough serum left over in the pouch to use for 3-4 applications.